Surrounded by two beaches on either side, it seems impossible not to slow down and enjoy the peaceful pace of this coastal Basque town. Take in the ocean views from the waterfront and from up the hills, taste freshly caught fish from the bay, or stroll through the well-preserved old town. The area is also known for its local white wine txakoli and the vineyards that produce it, which are easy to explore nearby. Of course it would be remiss not to mention the beach town’s most famous resident — fashion icon Cristóbal Balenciaga, and there is a museum here devoted to his work. There is also a small peninsula close to the fishing port that ends at San Antón Mountain, and it is affectionately called Ratón de Getaria (“mouse of Getaria”) for its unique shape. You can climb to the top for panoramic views of the town and the coastline. Getaria is situated on the Bay of Biscay, about 25 kilometers west of San Sebastian. There is a bus from San Sebastian’s main station, heading to Zumaia. Explore the spectacular and sacred sites of the Basque country on an enriching full-day excursion from Bilbao. Visit grand ecclesiastical structures like the Sanctuary of Loyola to attend an enlightening prayer ceremony; discover the quaint fishing villages that pepper the coastline to see why Bilbao residents favor them for their summer sojourns; and tour the stunning sights of the city of San Sebastian with an accomplished guide. Convenient round-trip transportation from your Bilbao hotel is included in this tour. 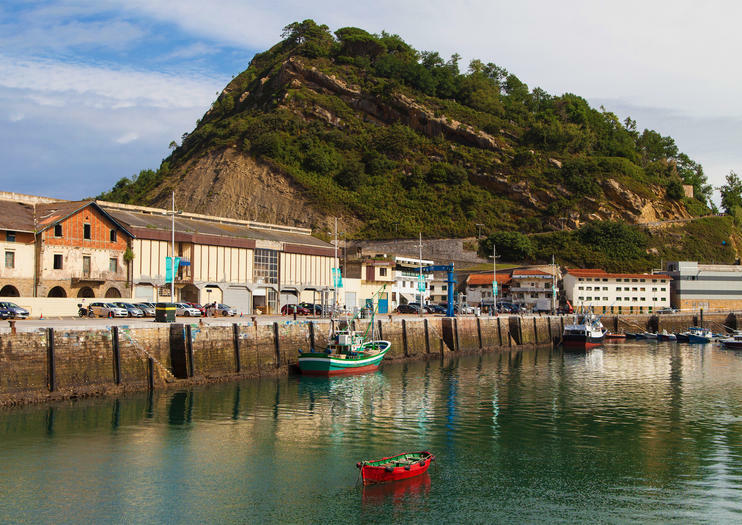 Explore one of the gems of the Basque coast with a private tour to the traditional fishing village of Getaria. Take a guided tour of the walkable old town, taste Gipuzkoa specialties at a favorite local deli, and learn about the life and style of the inventive Basque designer at the Cristóbal Balenciaga Museum. Get a new prospective on the coastline and beaches during a private boat tour before retuning to San Sebastian.